(BLAINE) – Anoka County sheriff’s deputies arrested a Blaine man they say called 911 after he shot and killed his wife. According to a officers, the call from 46-year-old Matthew Jansen came in from his home on 95th Avenue NE late at night on February 8. Officers said Jansen told responders he had shot and killed his wife, 46-year-old Mary Jo Jansen. In a criminal complaint, officers wrote that when they got to the home that night, they found Mrs. Jansen had been shot multiple times and she was dead. Also in the criminal complaint was information about divorce proceedings that Mrs. Hansen had initiated against her husband in November 2018, and he referenced the possible divorce as they were arresting him at the home. Deputies also recovered a Smith and Wesson .44 handgun at the scene. 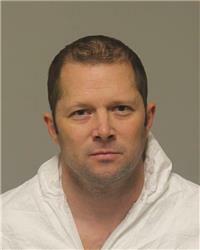 Mr. Jansen is booked at the Anoka County Jail, and a judge set his bail at $1 million. He is charged with second-degree murder.